Key insights from a presentation by Sarah Walmsley, Penrose Data to the Pet Food Manufacturers Association of NZ, Auckland, February 2019. New Zealand’s pet food export market has been growing rapidly in recent years, and it was great to present at the NZPFMA annual conference in an export-focused session. Secretary of the PFMA Richard Brake covered the staggering year on year growth, particularly in China, which has grown from virtually nil to over $22M per annum in 5 years. Echo Tan from NZTE gave the audience plenty to consider about the challenges and opportunities around exporting to China. Her engaging presentation covered economic growth, Chinese perceptions of themselves and how this impacts the ways NZ producers should market to China, and the impact of new regulations around export of pet food products. Outlining her 10 top tips for exporters, Echo challenged the audience to set high standards for the way it engages with Chinese consumers, undertake the necessary market and consumer research to deeply understand their consumers’ unique needs and preferences in order to compete in the crowded pet food market. We provided the audience with some quick-fire insights from a 2018 industry report that surveyed 53,000 pet owners in China – these are summarised in this infographic. 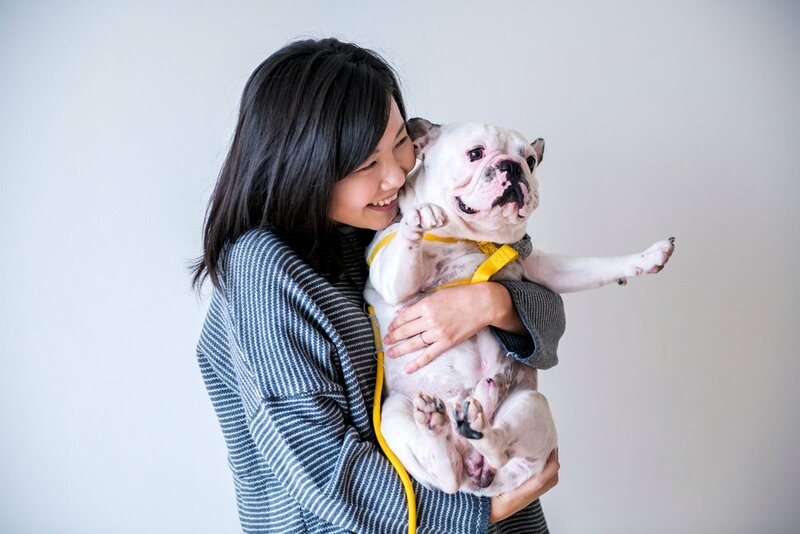 It was interesting to note that Chinese pet owners saw their pets more like children or family members rather than pets, and that the greatest challenge of being a pet owner is travel. This could provide pet food manufacturers to think about how these factors impact brand choice and purchasing habits, and whether they could capitalise on them through innovative brand messaging or packaging solutions. 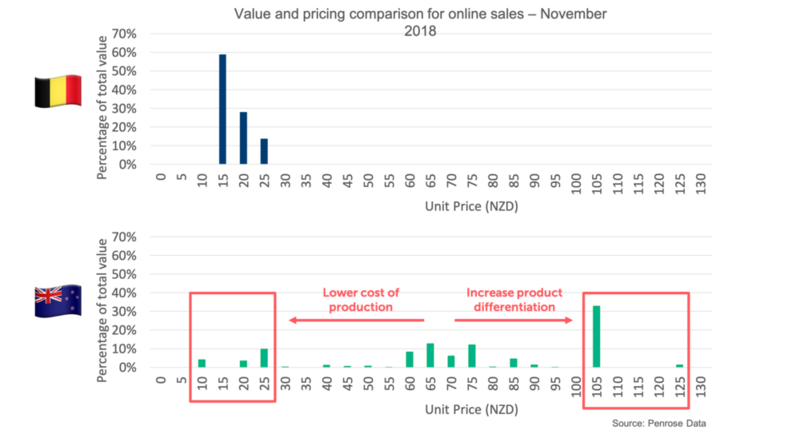 How e-commerce data and insights can help inform optimal pricing, packaging and positioning. Our pet food e-commerce data showed the impact of the US-China trade war on online pet food sales, and how this plus recent regulatory changes have drastically reduced sales for some well-known US brands. We presented the relative market share of pet food vs treats vs health products, and challenged the audience to think about their product ranges, noting that very few brands existed in all three categories, highlighting the potential to diversify from pet food products with health benefits ‘baked in’ to developing pure health focused products. 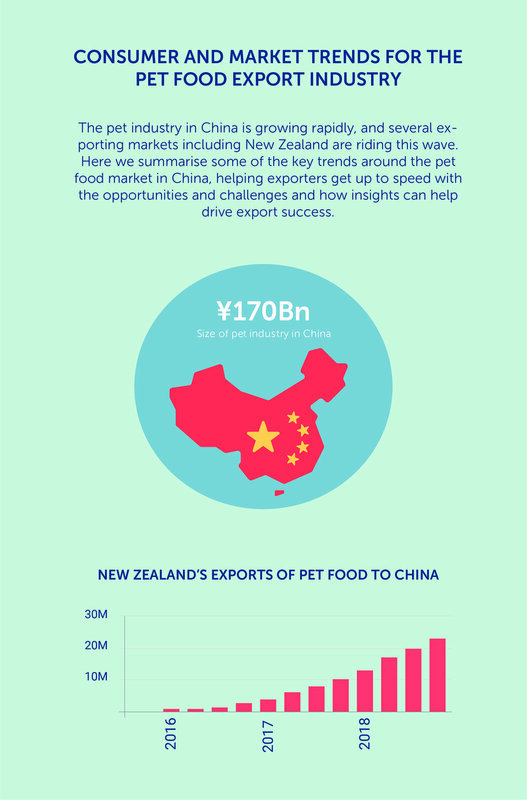 While the majority of online sales of pet food in China come from domestically produced brands, New Zealand performs well relative to our size, capturing around 2.5% of the export market for online sales, similar to Belgium. Supporting the brand experience by providing extensive supporting information on product benefits and practical advice such as tips on how to prepare the food and video content and buying guides. It also demonstrated that Chinese consumers are comfortable sharing photos of their pets eating the food or interacting with the products, and providing online feedback about their and their pets’ experience. The feedback after the session was positive, and we really enjoyed meeting the Association members, a passionate and determined group of people who are succeeding in growing NZ’s pet food exports. Our thanks to the Association for having Penrose Data contribute to the session. Phew! SaaStr was so phenomenal it’s taken me some time to distill the key ideas and strategies for our business. This summary covers some of the interesting presentations we attended, and many of the ideas we heard reinforced for us that our approach to supporting exporters is the right one – find the pain points, solve them, and continue to have laser focus on how we can drive success for our customers. Whilst SaaStr is aimed at the Software-as-a-Service community, we think many of these concepts are transferable to consumer product developers and exporters. For this post I have chosen a micro-blog format, where I try and take just a few sentences to describe each key take-out, and what they mean for us as a start-up insights business, how they relate to the exporter community and why we have built the lessons into our strategic approach. SaaS companies rely on a subscription-based revenue model, and as such are having to act more like FMCG brands – where customer loyalty is hard earned and easily lost. Achieving differentiation in a crowded market becomes all about understanding the deep customer drivers and delivering against these, coupled with continuous product innovation. Mark Roberge (formerly of HubSpot and now Harvard lecturer and VC) reminded us that our goals during this phase are to target the early adopters – those that are actively looking for a solution, and to drive solely for customer success. Only when you reach product-market fit will revenue start to grow, you’ll hit key metrics around Annual Revenue Retention (ARR) and Annual Customer Retention (ACR) and you’re ready to move into Go-to-market fit. For consumables this might translate to ‘Fall in love with the problem not our product’. Having a ‘service’ oriented mindset can also benefit exporters. In practical terms this means taking every opportunity to ensure that customers get the best from your product, providing additional relevant content for example on how to prepare a food product, solving problems around your product – such as providing travel packs or helping deal with the ‘last mile’ problem. If you are a premium brand, aim to explicitly understand the expectations your customers have about your product – it’s taste (if appropriate), functionality, presentation, packaging – the overall experience can be made or broken on the merit of these factors. It was really invigorating to listen to some leading female figures at SaaStr. It’s all too easy to think of entrepreneurship and leadership as innately male domains, however with 57% female presenters this year, I came back feeling buoyant about the future. Claire Hughes Johnson of Stripe encouraged us to find out who our ‘forever user’ is. In Stripe’s case it is the developer community, and so everything they do is about creating a seamless and valuable experience for them – from a speedy on-ramp to documentation to on-boarding to support. Her presentation was centred around avoiding ‘trapdoor’ decisions, and she stressed the importance of not overcorrecting when things go wrong and introducing unnecessary and stifling process; and ‘preserving optionality’ – that is avoiding making decisions that are irreversible. Incidentally, she shared that today only 3% of the world’s trade is online – quite shocking! Stripe’s mission is to increase the GDP of the internet. Claire’s presentation dovetailed nicely with another from three female leaders around user communities. They shared some fascinating insights about the benefits of engaging users, creating user communities and embedding them into your business. MVPs or trailblazers are associated with increased word of mouth sales, better NPS scores, lower attrition rates, better pipeline opportunities and larger TCV (total contract value). They encouraged setting up user groups right from the start (even offline at the beginning if necessary) and then getting out of the way! A key take-home point for me was this: you’re better to give your users a place to talk where you can leverage their feedback, rather than have them do it somewhere else behind closed doors where you can’t channel any negativity and strive to turn that passion into a positive experience. For exporters, leveraging feedback is key to creating a dialogue between you and your customers. You’ll learn what you need to improve, ways to expand your product line, and hear the weird and wonderful reasons customers love your product – and weave them into your marketing messages. It felt a bit at SaaStr as though the path to growth is well-trodden and there is a fairly formulaic process for growing your company in search of the elusive ‘unicorn’ status (valuation of $1Bn). Start-ups strive for the fabled VC criteria of T2D3 or triple, triple, double, double, double year on year annual revenue figures. And how do start-ups typically drive that growth? Investment. So, a huge focus for SaaStr is around creating relationships with VCs, understanding what VCs look for etc etc. But there were a few sage speakers (in my opinion) who sounded a note of caution around investment. ‘Your cap table is your number 1 asset as a founder and as a company’, so bootstrapping enables you to retain the value and the commitment to your business, and multiply your pay out the longer you can hold off investment. Incidentally, Ryan founded the company with his brother and his father, and at acquisition they still retained almost 50% of shares in the company. But his biggest achievement was creating wealth for their loyal employees. For exporters, taking a longer-term view can drive investment in the right areas, such as nurturing great local partnerships or finding opinion leaders that will work with you to get traction in a market. Looking for instant growth in a new market is risky, but relentlessly focusing on delivering for customers will always pay out in the end. In summary, SaaStr lived up to the hype and helped bring insight, inspiration and ideas for how we develop amazing, problem-solving products to the market. Geoff and I also got some valuable face time to reflect on the coming year and cement our goals.